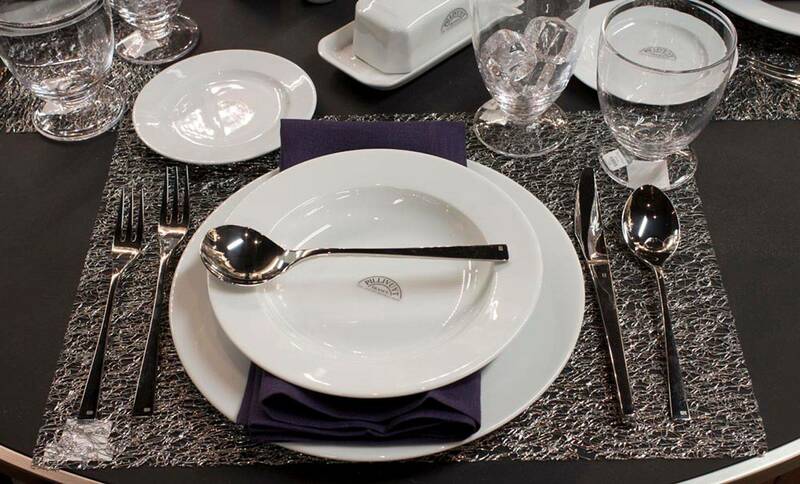 Welcome to our Bow Porcleain website. 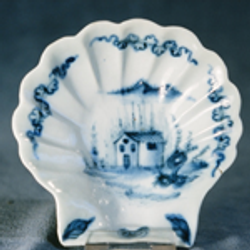 Please take a moment to check out our Bow Porcelain Gallery, Bow and English Porcelain Research, and Downloads. 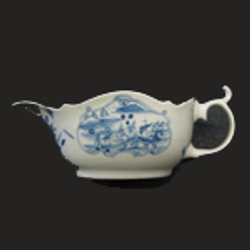 We are also available to bring live talks on Bow Porcelain and English Porcelain. If you don't find what you're looking for, drop us a line as we may be able to connect you up. Thanks for visiting. 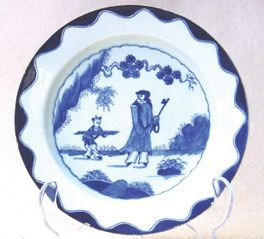 Above: Bow underglaze blue plate Bowcock period c. 1756-58 (private collection). 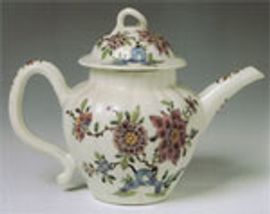 The Bow porcelain manufactory (New Canton) is generally regarded as having commenced production of bone ash, soft-paste porcelains in the vicinity of Bow village, east London, England around 1748. The concern reached its zenith in the mid 1750s and then slid into a slow decline, finally closing around 1774. 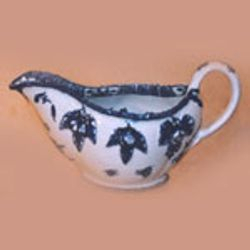 The use of bone ash in porcelain survived the demise of Bow and has now evolved into what we refer today as English bone china. 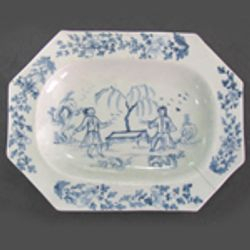 Over the last eighteen years our research, in conjunction with various colleagues, suggests that there is considerably more to the story of Bow and its porcelain output than the above short account might indicate. Under Our Research Results in chronological order together with brief summaries, is listed our work to date relating to Bow. 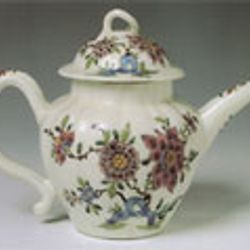 It might appear that the contribution by this porcelain concern has been considerably underestimated by ceramic historians over the last 150 years.